Popularly described as scanner in pocket, Genius Scan is a one-stop solution for all your scanning requirements. No matter how many pages you are seeking to scan, you can easily make it on the go. The award-winning app possess capability of quickly scanning any document, and delivers the final copy either in JPEG or PDF format. Next time when you are stuck scanning complex documents, you can use the app for mitigating the complexity and end up getting quality outcome. Powerful scanning technology with document detection and perspective correction for accurate scans. Snap images hands-free with magic mode. Scan pages in a real time with Batch Mode feature. Improve scanning quality with color or black-and-white post-processing. Export final copies to any supporting PDF or JPEG format, to Dropbox, Facebook, Expensify, Google Drive, Evernote, OneDrive, OneNote, WebDAV, FTP, SugarSync, Twitter and others. Multiple scanning features help you create desired PDF documents. Tag the document to discover it quickly in explorer. Name the documents in accordance to customized patterns. It processes documents over phone rather than sending them to any third-party server. Share documents through Wi-Fi to access them from your devices. Genius Scan makes your life easier by letting you get rid of all your complicated paperwork. Featured in ‘The Guardian’ and others, the app has claimed numerous prizes and awards for outstanding performance, as promised to users. 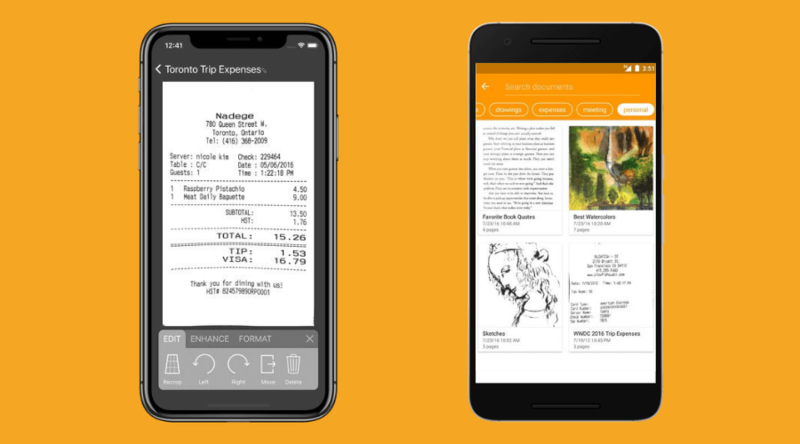 Serving its core purpose of digitizing your documents easily and quickly, the app also keeps your privacy safe with features like PDF protection and Touch ID. 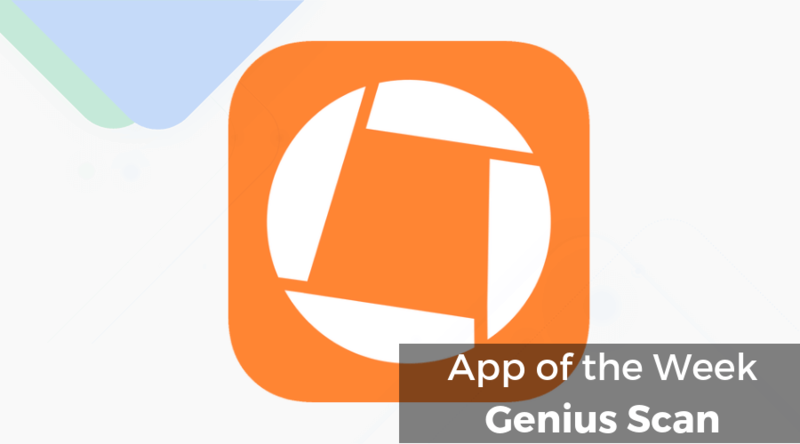 Available on both iOS and Android, Genius Scan is free to download. However, it is available with some special features at $2.99 per month, and some more in-app subscription plans. Genius Scan captures the documents through device camera. The app saves the documents and processes it for the best possible document size. In a couple of taps, Genuine Scan creates a digitized copy of captured documents and saves them on server system in PDF or JPEG format. The app lets users access the saved files directly from the server, which they can easily share through email, social networks or other mediums.